Below you fill find all funeral homes and cemeteries in or near Puxico. Suburbs of Puxico: Acornridge, Asherville, Kinder. Puxico is also known as: Stoddard County / Puxico city. Zip codes in the city: 63960. Some of the notable people born here have been: (russ mosley), and (win wilfong). Puxico is a city in Stoddard County, Missouri, United States. The population was 881 at the 2010 census. It was noted on November 25th, 2018 that Catherine Elizabeth "Cathy" Skoubis died in Puxico, Missouri. Skoubis was 57 years old. Send flowers to express your sorrow and honor Catherine Elizabeth "Cathy"'s life. It was written by Des Moines Register on June 3rd, 2018 that Ralph H Cooper perished in Johnston, Iowa. Cooper was 91 years old and was born in Puxico, MO. Send flowers to share your condolences and honor Ralph H's life. It was revealed by The Daily Tribune on July 7th, 2017 that Venita Joyce Batten (Patton) passed on in Ortonville, Michigan. Ms. Batten was 80 years old and was born in Puxico, MO. Send flowers to express your sympathy and honor Venita Joyce's life. It was reported on February 18th, 2017 that Howard Lee Moore perished in Tulelake, California. Moore was 92 years old and was born in Puxico, MO. Send flowers to express your sorrow and honor Howard Lee's life. It was revealed by Flint Journal on September 11th, 2016 that Cecil "Vic" Wilson passed on in Michigan. Wilson was 71 years old and was born in Puxico, MO. Send flowers to share your condolences and honor Cecil "Vic"'s life. It was revealed by Sarasota Herald-Tribune on August 24th, 2016 that Edith Langdon perished in Sarasota, Florida. Langdon was 94 years old and was born in Puxico, MO. Send flowers to express your sorrow and honor Edith's life. It was disclosed by Centralia Sentinel on July 23rd, 2016 that E Harold "Hal" Lyons passed away in Centralia, Illinois. Lyons was 86 years old and was born in Puxico, MO. Send flowers to share your condolences and honor E Harold "Hal"'s life. It was reported by Flint Journal on May 15th, 2014 that Rose Marie Gillett (Chaney) passed away in Michigan. Ms. Gillett was 90 years old and was born in Puxico, MO. Send flowers to share your condolences and honor Rose Marie's life. It was reported by Press Enterprise on August 21st, 2013 that Annette Sue Pitiak (Looney) perished in Hemet, California. Ms. Pitiak was 75 years old and was born in Puxico, MO. Send flowers to share your condolences and honor Annette Sue's life. It was reported by Oakland Press on May 15th, 2013 that Minnie Mae Hobgood died in Pontiac, Michigan. Hobgood was 89 years old and was born in Puxico, MO. Send flowers to express your sorrow and honor Minnie Mae's life. 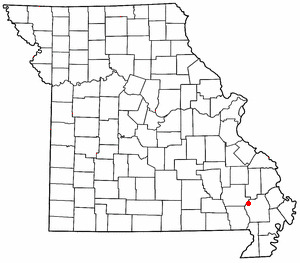 Puxico is a city in Stoddard County, Missouri County, Missouri, United States. The population was 1,145 at the 2000 census. . . . Listing all funeral homes in Puxico, Missouri so you can easily send flowers to any location (same day delivery) or find any funeral service. Watkins & Sons Funeral Service, Puxico, MO : Reviews and maps - Yahoo! Local, 573.222.3585. Get Ratings, Reviews, Photos and more on Yahoo! Local. We work with local florists and flower shops to offer same day delivery. You will find budget sympathy flowers in Puxico here. Our funeral flowers are cheap in price but not in value.